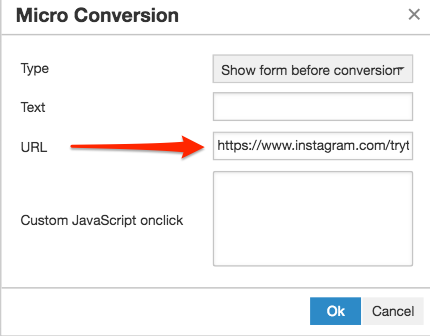 A micro conversion is a small step on the path of a visitor towards your primary conversion goal (For example converting in a widget) or making a purchase. 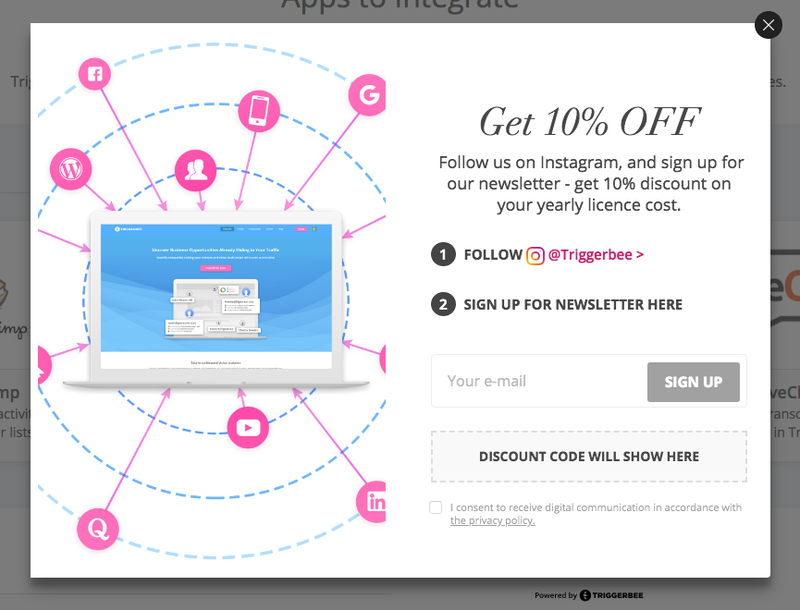 For example, you can increase your following on Instagram, Facebook or other. The micro conversion feature in widgets will check if the visitor has clicked on the shared link until the visitor has done the micro conversion, the form will not be able to be submitted of the visitor. 1. Navigate to Publish in the Triggerbee app. 5. 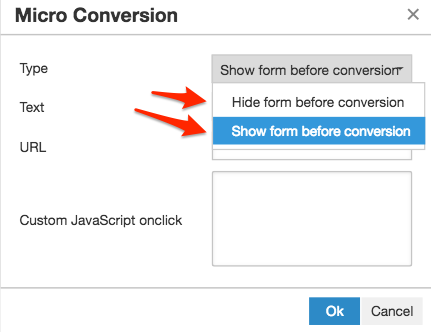 Choose one of two alternatives: "hide form before conversion" or "show form before conversion"